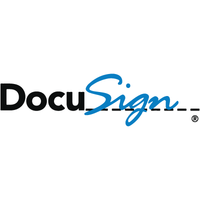 Integrating DocuSign with Freshservice can send contracts for e-signature and approval from within your service desk. 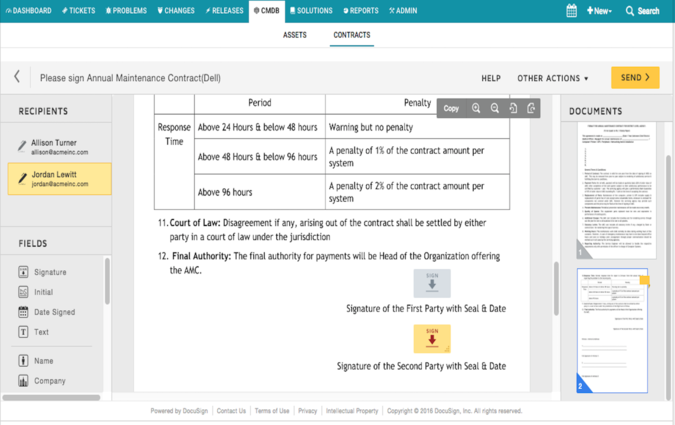 - Helping you manage and track document signatures. 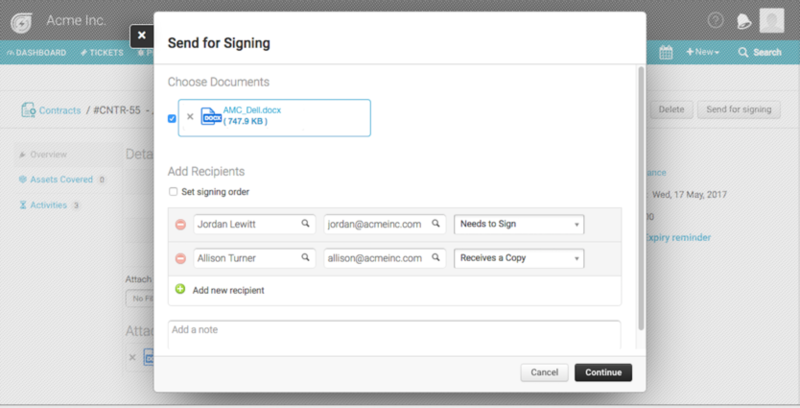 - Allowing you to send and sign documents directly from your service desk. 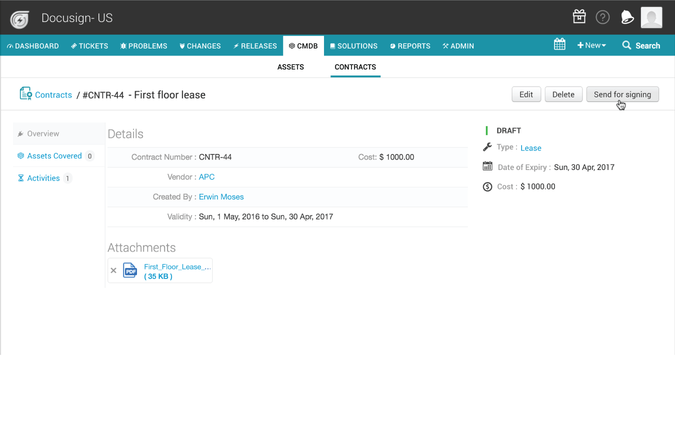 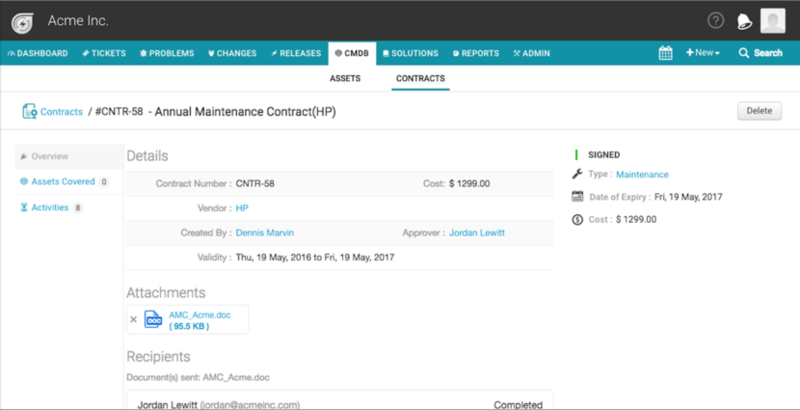 - Freeing you from paying for multiple software and systems to keep track of documents from different teams such as sales, legal, HR, and IT.